Last week, Tuesdays Together Catonsville held its fourth meeting. As you may recall, Tuesdays Together Catonsville is the local chapter of The Rising Tide Society that I have been leading since February. 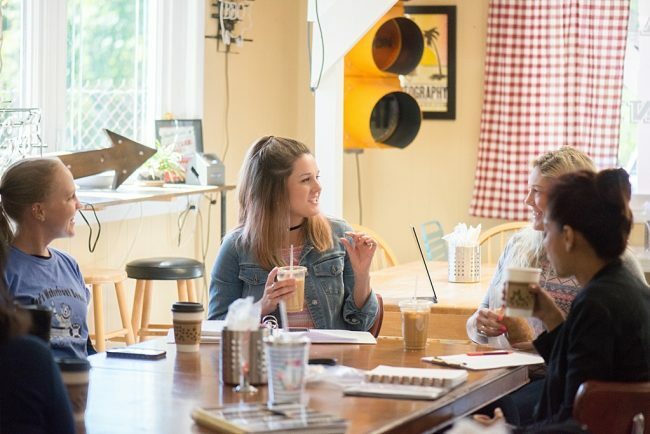 Our group met in Rooster & Hen Store‘s cafe area and discussed our monthly topic of Content Marketing while sipping house-made cold brew coffee. It was a great start to the day! One of the greatest strengths of Tuesdays Together Catonsville is its diversity. Our group members come from a wide range of industries and crafts. 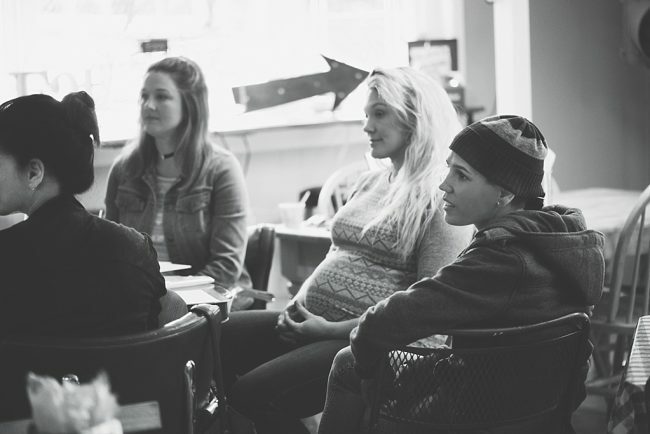 Each person brings a unique perspective to the discussion from their specific industry. 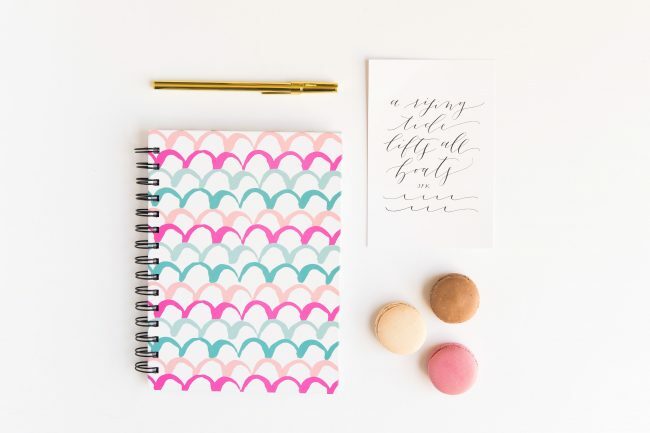 For instance, my content marketing strategy has been heavily focused on Pinterest in recent months because that is where my potential customers plan to make future purchases. But service-oriented businesses like C&V brand design use a different approach to reach their clientele effectively. The variety of perspectives made for a lively discussion and lots of problem-solving ideas from different industries! May’s meetup was another win for “community of competition” in our city of Catonsville. I’m already looking forward to our get-together in June! Are you a creative small business owner? If you’d like to join us at our next meeting, check out the Tuesdays Together Catonsville Facebook page and request to be added to the group. We would love to have you join us! What do you do when you fall in love with a necklace that’s way out of your budget? This is the question that brought J’Adorn bride Michelle to my door! 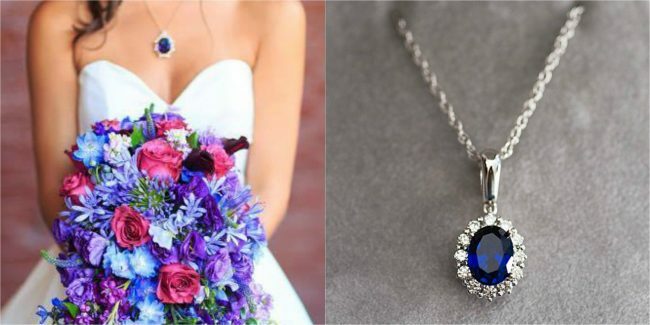 Like many newly engaged women do, Michelle was flipping through a bridal magazine for inspiration when a gorgeous sapphire necklace caught her eye (pictured above, left). She was a woman obsessed; she just had to have it! But she was crestfallen when she learned that her dream necklace was both unavailable for purchase and valued at over $75,000. Thankfully, she mentioned her jewelry dilemma to her hairstylist, Erica Cote of Silver Immersion. Erica is also one of my closest friends in the wedding industry. 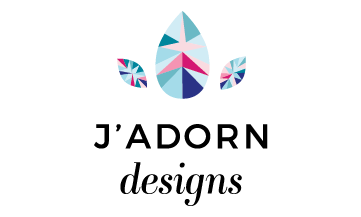 She referred Michelle to J’Adorn Designs, suggesting my custom jewelry services to help recreate the wedding day look of her dreams. These elements served as the starting point for my custom design process. We also decided to add a pair of matching earrings to the necklace design, so Michelle would have a coordinated set to cherish & wear for years to come. 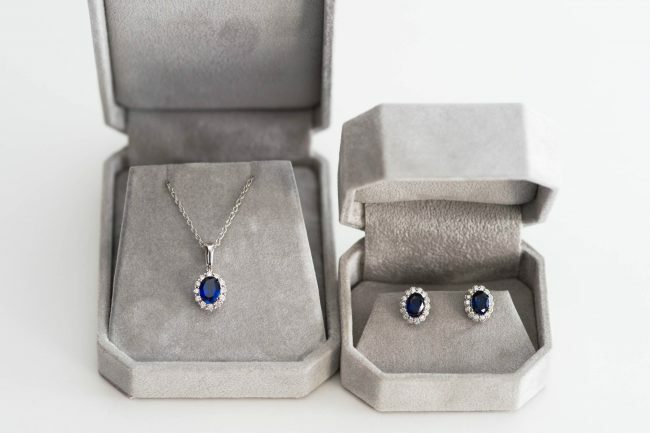 I chose lab-created sapphires for Michelle’s necklace and earrings set because they would allow me to create a perfectly matched set. 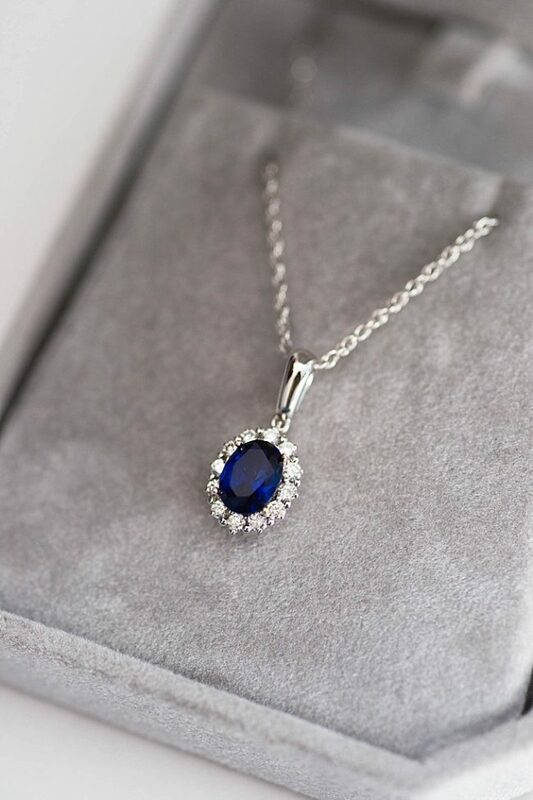 Natural sapphires develop over long periods of time and typically are mined in small sizes. But lab-grown sapphires are grown in a “boule,” or large mass of stone, which is then cut into smaller counterparts. 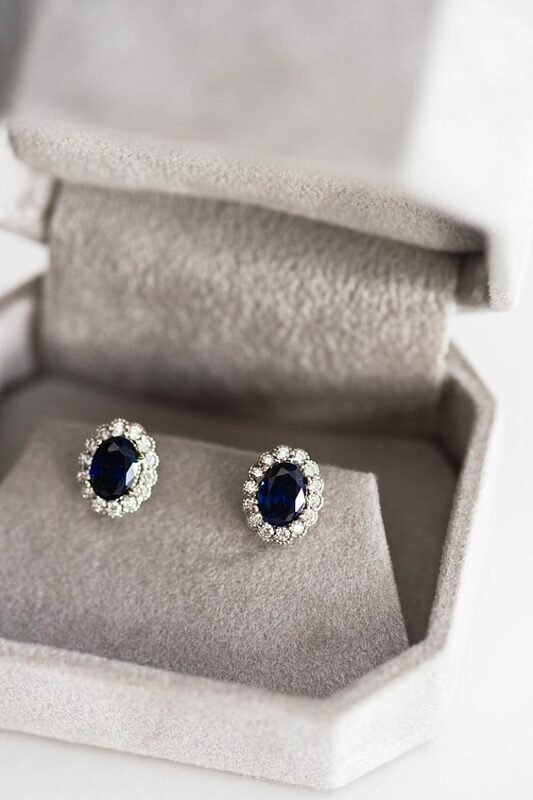 The sapphires in Michelle’s jewelry set came from the same boule, so they are identical in color, quality, and chemical makeup. After choosing the settings, stones, and classic rope chain for Michelle’s custom sapphire wedding jewelry set, I cut notches in the setting prongs to make a “seat” for the stones. This ensured the perfect fit, which I adjusted around the stones by hand. 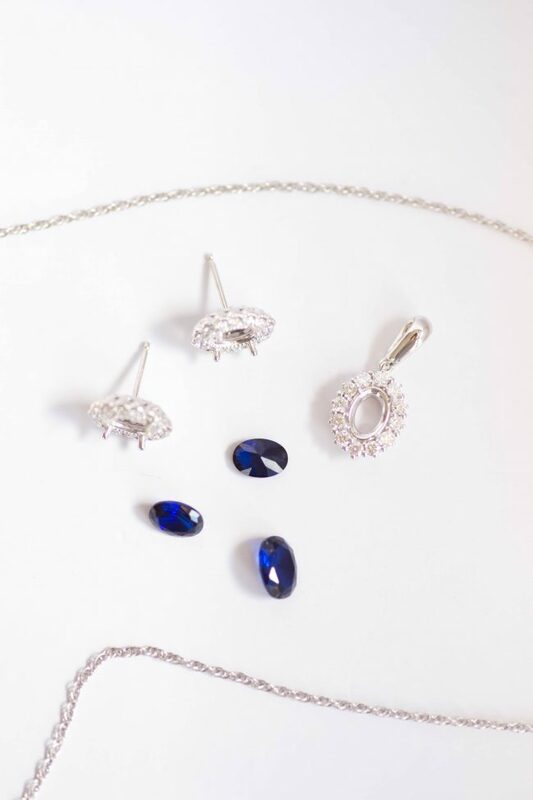 The final result was a gorgeous set of custom sapphire wedding jewelry even more radiant that I imagined. I can’t wait to see pictures of Michelle wearing her custom jewelry on her wedding day. 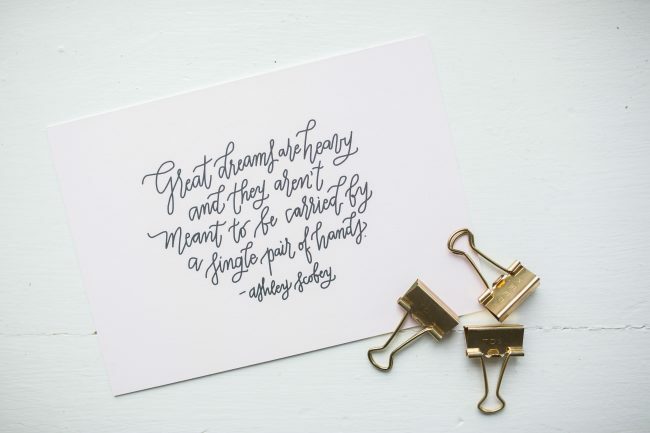 But the best part for me as a designer is knowing that I gave my client exactly what she wanted – a stunning set of jewelry that is 100% uniquely hers. All photos by Madison Short Photography, except first inspiration photo. Today I’m taking a little break from sharing about my custom jewelry and bridal accessories to share a bit about my life off the jeweler’s bench as a creative entrepreneur. 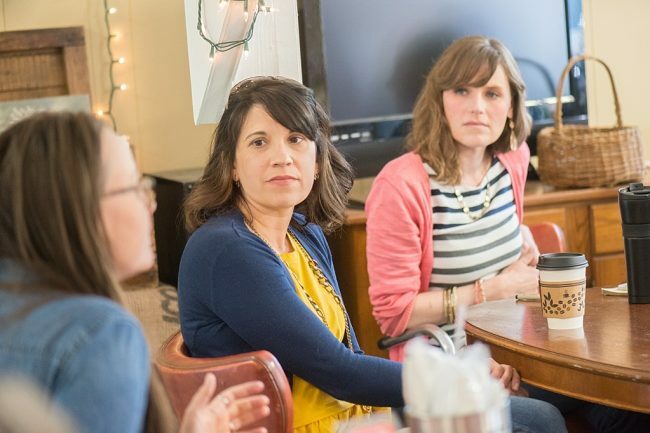 The Rising Tide Society recently hosted its annual online conference, The Rise Summit, with a live webcast from its main offices in San Francisco. In between live sessions, the Summit aired a collection of pre-recorded short videos from community leaders. I was honored to have been selected as a featured speaker among the other powerhouse leaders who contributed. In my video, I shared three practical tips for practicing mental health and self care as a creative entrepreneur. I’m well versed in the importance of self care as a creative entrepreneur from personal experience. In the future, I hope to share more about my own journey toward mental health here on the blog. For now, here is a look at the video I recorded as it aired on the live webcast during The Rise Summit!